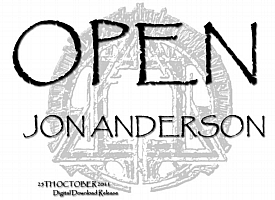 Jon Anderson’s new song Open is a download available for purchase at iTunes. For many like me the earlier pre-release publicity alone was a reason for excitement and anticipation. I am pleased to say everything you have read about Jon Anderson’s download song Open is correct. After sampling Jon Anderson’s Open at iTunes, I can tell you Jon has indeed created a masterpiece! For those who haven’t heard, I can report it is true Jon has returned to his Yes origins, but in a much more dramatic way! And the good news from what Anderson has said is this first song is only the beginning, stating he will produce more dynamic music with full orchestrations in the future so check back with me now and then. I will let everyone know the minute I hear the news about a new release. There is more news about Jon I can tell you now since he has requested Christophe Lebled collaborate on a new project in 2012. Jon and Christophe Lebled’s new project album is a re-creation of the entire LP Olias of Sunhillow – Live in 2012. The first Olias of Sunhillow album as many of you may know was originally Jon Anderson’s first solo album where he sang and played every instrument completely by himself. Open is an epic 21 minute opus structured in the progressive works of classic Yes songs like Close To The Edge, Gates of Delirium, Revealing, & Awaken. There are already some song reviews of Open at iTunes, and the reviews from Jon’s fans and Yes fans are very positive. In their reviews of Open, comments like: “magnificent, refreshing, excellent and compelling” are words used to describe Jon’s newest release. In all honesty I couldn’t have said it any better myself. Open features the eclectic vocals of Jon Anderson united with a full brass section, strings and full percussion orchestrations by Stefan Podell. Together this song in four continuous movements, delivers a powerful proclamation of peace, love, light and freedom. The beautifully conveyed piece with dynamic orchestrations will leave you breathless. Jon Anderson is on tour in the U.S. and Canada with early Yes member Rick Wakeman. The legendary Yes duo Anderson and Wakeman are touring in support of their release The Living Tree. Jon is presently touring solo too, with concert dates scheduled in 2011 & 2012. In December 2011 Jon will be performing select solo concerts in South America. It’s the progressive nature of Jon Anderson’s music that keeps his solo career and Yes fans, wanting more. And more is what we will get. From what Anderson has said in press releases, more dynamic music like Open is what we can anticipate from this highly prolific artist. Visit jonanderson.com for news and Jon Anderson’s yearly tour schedule on his tour information page. Purchase Open at iTunes. Read my Jon Anderson interview in 2011 and Survival & Other Stories album review on my Jon Anderson pages. Photos are courtesy jonanderson.com. 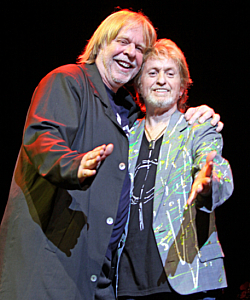 Jon Anderson and Rick Wakeman, both legendary musicians and former lead members of the Progressive Rock group Yes, have announced their current tour dates later this year in 2011. 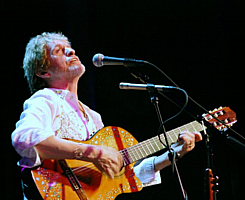 If you are a regular visitor to Music World then you have already read Jon Anderson is currently making appearances during his 2011 Summer Concert tour in support of his brand new release Survival & Other Stories. Rick Wakeman has likewise been performing during his concert tour earlier this year in the UK. In addition to Rick Wakeman’s 2011 UK concert tour he has also teamed up in a recent collaboration with Jon Anderson on their most current release The Living Tree. In regards to the Jon Anderson and Rick Wakeman concert tour, it’s anybody’s guess what the song lineup is at this point, but concert goers may hear classic song favorites like Starship Trooper & Owner of a Lonely Heart, and a number of songs from their current album together The Living Tree. 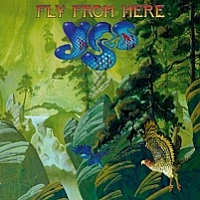 The new Yes album – Fly From Here is another brand new release and a popular album with Yes fans, who have waited ten years for another album. 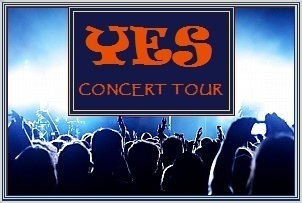 After ending their U.S. Summer Concert Tour, Yes will begin their European Fall Tour in November 2011. The year 2011 turned out to be a rock solid year of concert tours and brand new music for fans of Jon Anderson, Rick Wakeman, Yes, and Progressive Rock music enthusiasts everywhere! Visit the official websites; jonanderson.com and Rick Wakeman at rwcc.com. Visit Yes at yesworld.com. Tour info is courtesy jonanderson.com.